The Story Matters: MAY KIT starts shipping TODAY!! If you subscribed, say, on the 10th, your kit will ship when your subscription pays. 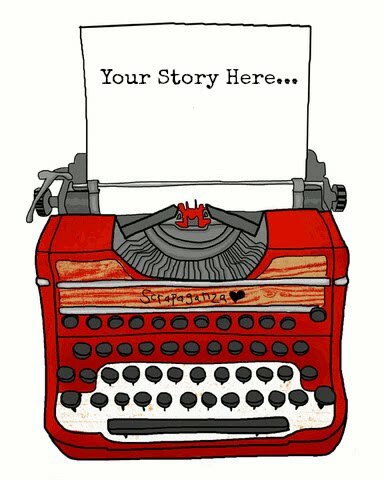 If you are NEW to The Story Matters, you can purchase and subscribe on the 5th! Any kit purchase is a subscription, and at the same great price-BUT the you can cancel any month by the 25th of the month (giving you 10 days after the sneak peek!) It's that easy! So don't miss a kit! Subscribe TODAY!!! Bo Bunny Persuasion Prize Pack!! Ya got until tomorrow at about noon CST! Email: info@thestorymatters.com and give us your address!! LOVE this kit. Absolutely beautiful! That is some FUN goodies!!! The new kit is supercute and so is today's prize! Great kit! 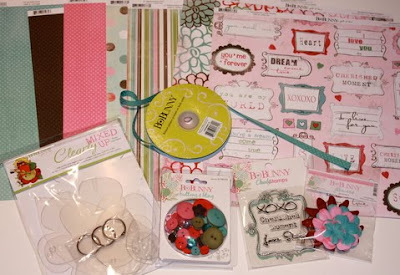 Love the Bo Bunny goodies too! love the colors of that kit. so cute! what a cool kit! i am loving your new site! Kit looks great and that extra looks like a whole lotta fun too. Can't wait to get my kit. And I love the Bo Bunny. Love this kit! The acrylic album is AWESOME! Great BoBunny collection-this would certainly be fun to play with. Love the Crazy-Mixed up acrylic album. Lovin' the May Kit!! I would love to have this kit...I just might have to break my rule of "no more stuff!"